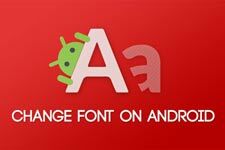 If you want to enjoy custom fonts on Samsung Galaxy devices, we got a Samsung fonts APK package for you. Just install the app to enjoy more than 1000 fonts for Samsung devices without root. 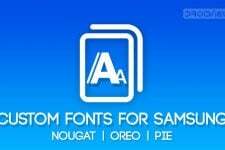 The Flipfonts APK supports all Samsung devices running Android Nougat and Oreo. 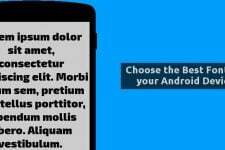 Download Samsung fonts APK and install it without root. Regardless of which OEM you bought your Android from, in almost all cases the default font is good enough. There was a time when some OEMs used funky looking fonts to stand out but not anymore. The default Roboto font on Android looks great, so does the Samsung One font on Samsung devices. It has been a while since I’ve even thought of changing the font on my Android and I mostly prefer the stock font now. But you don’t have to especially if you happen to have a Samsung, LG or HTC device. These OEMs allow users to change the device font quite easily, something that’s still missing from stock Android. You can now install 1000+ Samsung fonts on Samsung devices running Android Nougat or Oreo firmware at once without root access. This has been made possible by the Wings Samsung Fonts project for Samsung devices, developed and maintained by teamwings. It’s a small group of dedicated developers. The fonts can be installed much easier thanks to substratum support present on Samsung devices running Android Nougat and Android Oreo. It doesn’t even require root. But the substratum support does come at a cost and it’s understandable if you haven’t bought it. Luckily, these Wings fonts can also be installed and work just as fine even if you don’t have Substratum on your device. Other than that the only requirement is SamsungSans which can be downloaded from the Galaxy Apps store. Regardless if you have Substratum or not, SamusngSans is a requirement. You’ll also need to enable Unknown sources under Settings > Lock screen & security. There is currently a known bug that will possibly be fixed in a future update. You may see the same fonts listed twice. One of these will actually not work and tell you that the font is not supported. The other one will work. Download the appropriate font packages from here. First of all, download SamsungSans font via Galaxy Apps on your phone. Provided you have both substratum and the substratum addon for Samsung devices installed, download the latest Wings Samsung Fonts from the download link provided above. The latest version, as of this writing, is Wings Samsung Fonts_1.3d.apk. For Samsung devices still running on Android Nougat, the latest version that works is Wings Samsung Fonts_1.1d.apk. To check if there are any newer versions available, check out the XDA DevDB downloads page. Tap on the download complete notification to install the APK. Now open the Substratum app and install all the font packages you want. As before, download and install SamsungSans from Galaxy Apps on your Samsung device. You can search for it or use the download link above in the download section. Download Wings XDA 968 Fonts.apk. Install it as described above in case you don’t know how to install an APK file. Download Wings XDA 968 Fonts – OREO.apk and copy the Samsung fonts APK file to your Samsung Galaxy device. Open My Files and navigate to the APK file. Tap Wings XDA 968 Fonts – OREO.apk to install it. (Make sure to enable Unknown sources option if you’re prompted to do so while installing the app. Please note that custom font overlays are disabled by default by Android OMS (Overlay Management System) and we need to enable it manually after installing the font package. To do so, follow the steps described below. Enable USB debugging on your phone by going to Settings> Developer options. Download the latest SDK Platform-tools on your computer. Now reboot your PC and Samsung Galaxy device. 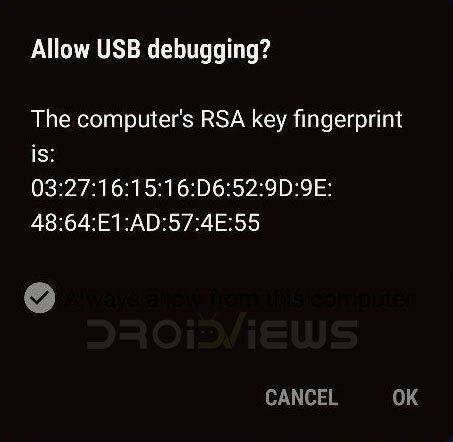 Connect your phone to the computer and Allow USB debugging if prompted. Well, now launch a command or PowerShell window. To do so, place the mouse pointer on the Windows icon and do a right-click on the mouse. Select the Command Prompt option to launch the cmd window. First of all, type the command mentioned below. It will show the list of connected devices. If your phone is not detected by ADB, install try a different USB cable or USB port and restart your computer and device. Now type the following command in it and hit the Enter key. On hitting the Enter key, you’ll get the codename for your device (‘star2lte’ is the codename for the Galaxy S9+, for instance). Now issue the following command and press the Enter key. Done! Now go to Settings> Display> Font and screen zoom and apply the font you like. Once you have the fonts APK installed, you can apply them via the device Settings. Select Screen zoom and font. Now select the font you want and apply it. 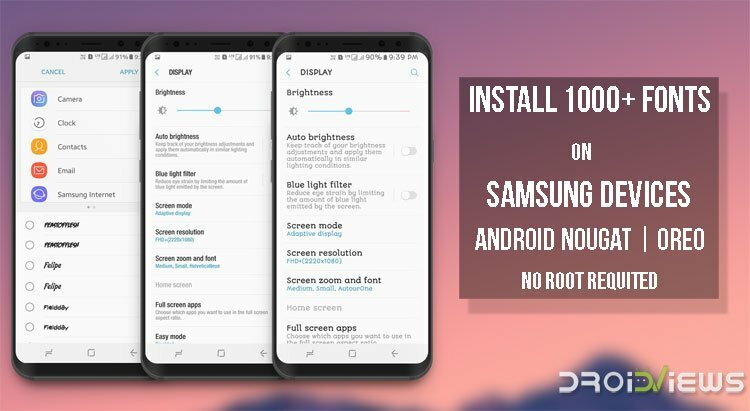 Must read How to Customize Samsung Devices Without Root - Oreo Edition! Since Wings Samsung Fonts are compatible with both Android Nougat and Oreo-powered Samsung devices, the list of devices supported is pretty extensive. It includes all of Samsung’s 2017 flagships, namely the Galaxy S8 and S8+ and the Galaxy Note 8 and last year’s flagships, the Galaxy S7 and S7 Edge. If for some reason and somehow you were able to keep the Note 7 count that in too. Even the Galaxy S6 and S6 Edge along with the Galaxy Note 5 are supported. That’s not all though. Devices from Samsung’s mid-range Galaxy A series, A3, A5 and A7 as well as the budget friendly J series are supported provided they are running on stock Samsung firmware powered by Android 7.0 Nougat or Android 8.0 Oreo, if and when that happens. How to Uninstall Wings XDA 968 Fonts.apk? Go to Settings> Apps> and you’ll find it listed under installed apps. Tap it and select the Uninstall option. I was looking for “XDA Wings …” but it appears as “com.monotype.android …” Thank you very much! How can I make my own package of fonts to use in the Galaxy S7 nougat? Hi, the app installs duplicate fonts for each font . One of them doesn’t work but the other one does. Try selecting both the fonts one by one.